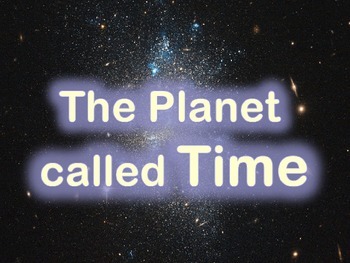 The Planet Time: An introduction to the study of time to the half hour. This interactive PowerPoint lesson introduces students to time to the hour and half hour. Supports 1.MD.3. 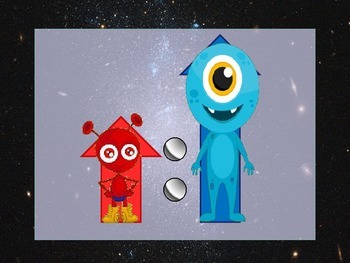 This original story follows the leader of Planet Time, Zelnhour, and his 2nd in Command, Sorgaminute, as they create a code of numbers to help the aliens of the planet know when they are to do their different activities. 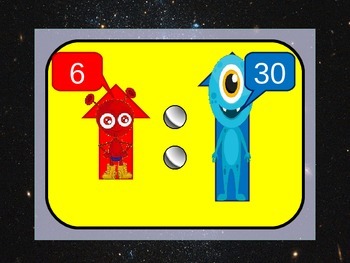 Learn how "Telling Time" (as Commandar Zelnhour begins to call it) transforms from two aliens calling out the code numbers, to posting the code numbers on arrows, to using pictures for the code numbers, to finally using arrows for the code numbers. * The visual story of "The Planet Called Time"
* Step-by-step illustrations for the concept of telling time on analog and digital clocksn as a follow-up to the story.